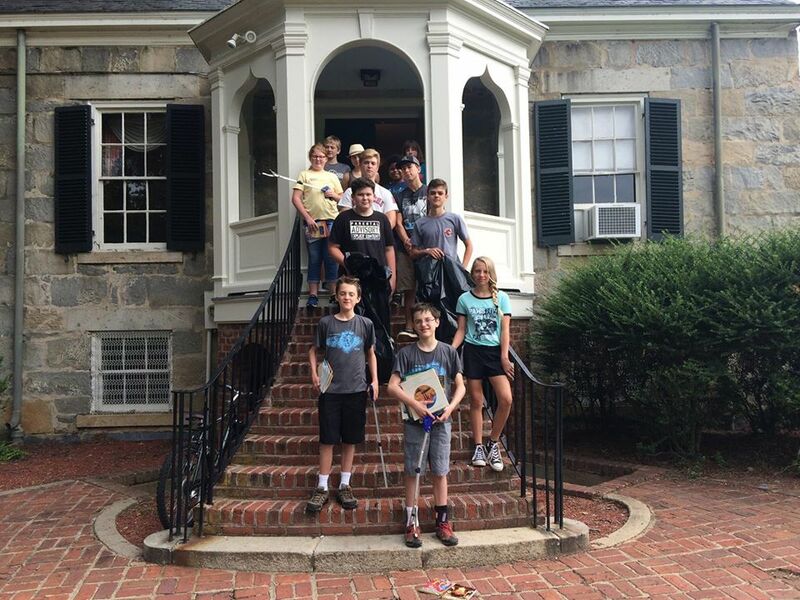 Friends of Forest Hill Park Junior is a group of middle school students and high school students who are interested in helping the Park. The group plans and runs the Halloween Howl Event, helps with crafts at the Victorian Christmas with Santa and Sunday in the Park with Friends, does park clean ups, helps monitor the blue bird trail in Forest Hill Park, assists with the maintenance and care of the little free library among other park related activities. This group meets approximately 6-8 times a year. 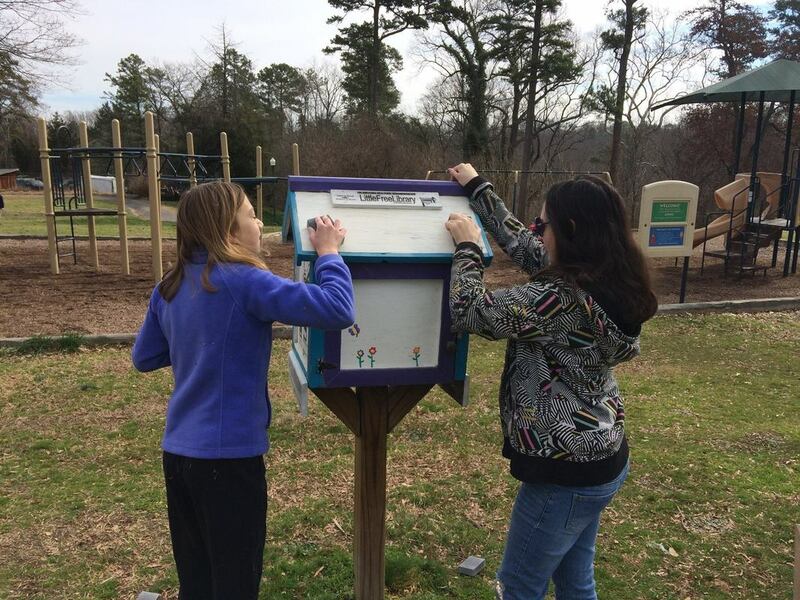 Most schools allow the Friends of Forest Hill Park Junior activities to count towards community service. Please use the form below if you have a child who is interested in becoming involved with this community youth group, or if you would like more information. Forest Hill Park has had a blue bird trail for the last four years through the Virginia Blue Bird Society. There are 10 bird houses throughout the park which promote an increase in the blue bird population. Due to urbanization, predators and the invasive sparrow taking over blue bird nests, the blue bird population has been on the decline. By having designated trails, people can promote the blue birds’ increase in population by setting up the best possible conditions. All of our bird houses (boxes) have baffles to prevent snakes and other animals from climbing into them. The boxes have wire predator guards around their entrances so that raccoons and other animals can’t reach eggs or babies. The blue bird trail is monitored weekly by volunteers, including Friends of Forest Hill Park Junior, beginning in March/April through August. Trail monitors soap the interior of the boxes to prevent wasps from building nests, as well as remove wasp nest attempts. Monitors also put a ring of vaseline under the baffle around the pole so that ants can’t climb into the boxes. Trained monitors are allowed to remove sparrows’ nests because sparrows are an invasive species. Weekly monitoring allows us to remove sparrows’ nests early before they lay any eggs. The boxes in the park are reserved for blue birds and native species such as chick-a-dees and tree swallows. Trail monitors also record the condition of the boxes each week and note partial nests, full nests, eggs, hatchlings and how many birds fledged into the park. It is important for a trained monitor to open the boxes because as the little birds grow, they can fall out when the box is opened. The trail coordinator submits statistics each year to the Virginia Blue Bird Society on the number and type of nests, number of eggs, hatchlings and fledglings. Blue birds will nest more than once in the season and lay up to five eggs per nest. Blue birds build their nests out of pine needles and fine grasses, and their eggs are distinctively blue. Forest Hill Park has had both chick-a-dees and blue birds all four years and a very high rate of fledglings into the park. If you are interested in learning about trail monitoring, or attending a monitor session, contact Laura Dysart through the contact form above.